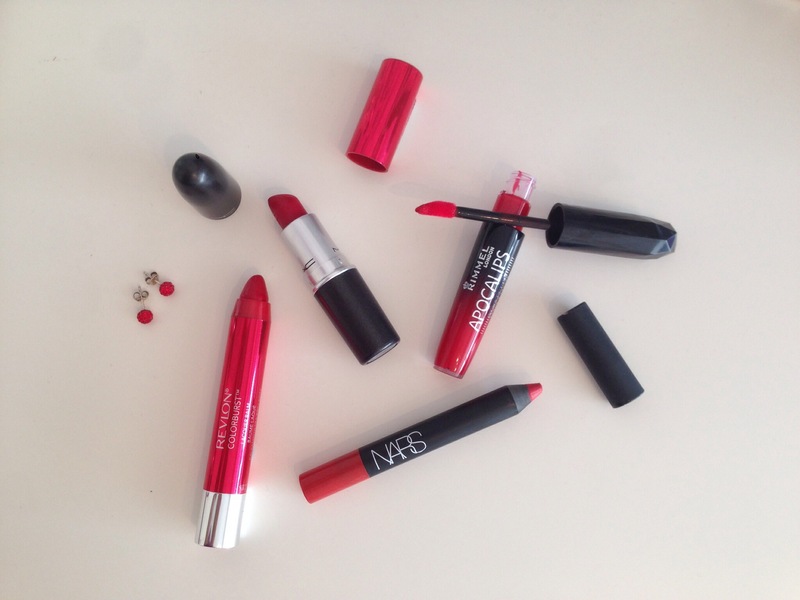 Take 4 #5: The Red Edit – The Beauty Spot. The Red Lip is something that will never go out of fashion, and is the easiest way to feel glam and ‘done’ without a huge amount of effort. A slick of red lippie can take a real toned down neutral eye daytime look, to a glam ‘cocktails straight from work’ evening look. 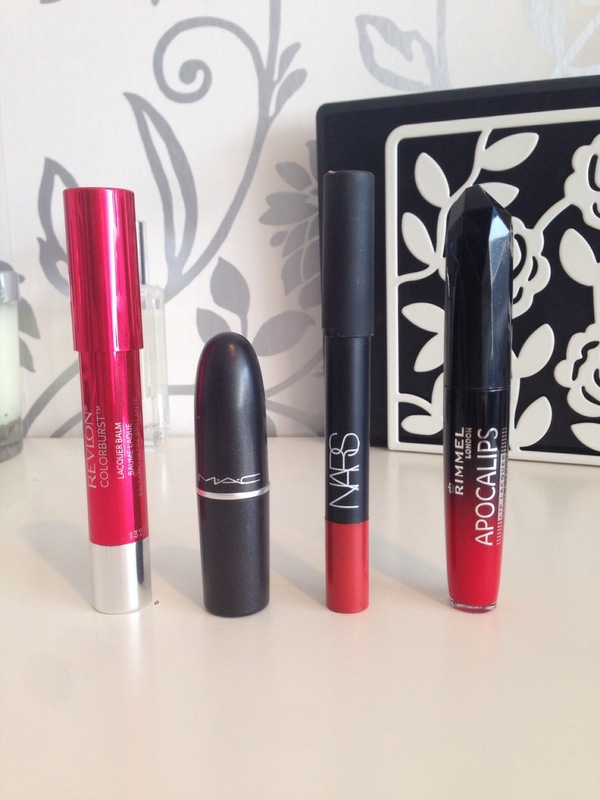 I have found that having a red lip ‘wardrobe’ never leaves you short, regardless of occasion! For a hydrating slightly glossy lip, look no further than the Revlon Colourburst Laquer Balm in Femme Fatale, easy to slick on, but requires frequent touch ups because of texture. I do find it stains very slightly but nothing a good micellar water can’t undo! For that retro glam feel, one of the most famous reds of the moment: MAC Ruby Woo. This retro matte texture gives that long lasting perfect pout. Sometimes matte textures feel drying, but a hint of Burt’s Bees Beeswax Lip Balm underneath is hydrating enough but still keeps the lipstick matte. I always apply a red lip liner with this one, it gives a more precise application and if you fill in the entire lip first, if you get any wear you’ve still got colour underneath! 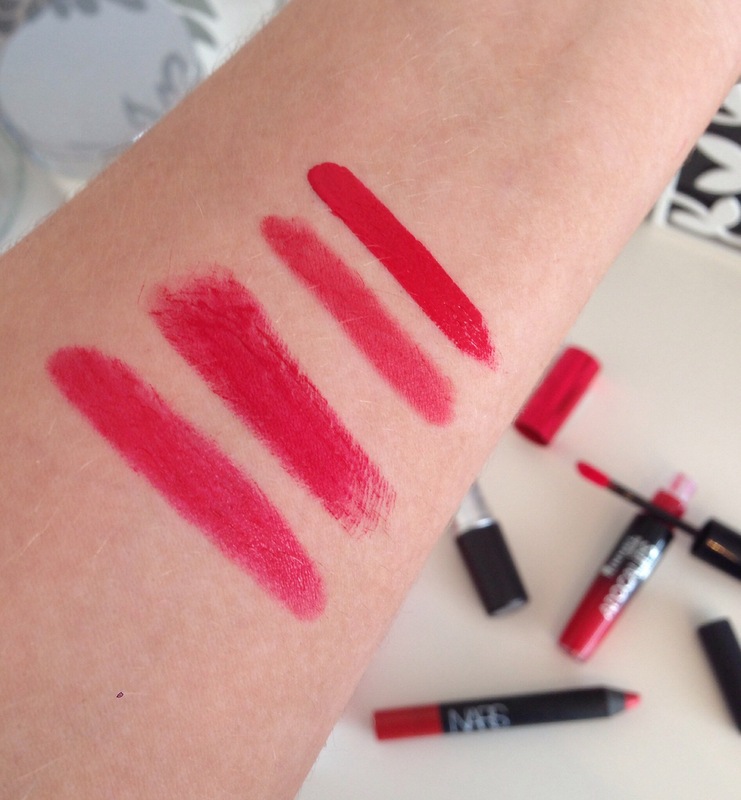 For a slightly more subtle matte finish, NARS Velvet Matt Lip Pencil in Pop Life is a great one to try. Somehow this formula feels amazingly light, almost as if there’s nothing on your lips. I usually think I need to reapply but the staying power is pretty good for such a smooth light feeling texture. It’s a slightly softer orangey red in comparison to Ruby Woo, but a great ‘day off’ hint of colour. If you’re going for full on glamour with shine and intense pigment, you really can’t beat Rimmel Apolcalips in Big Bang. I’m still getting used to the texture of this, but the colour pay off is amazing! I sometimes worry with glossier textures that they’re going to slide around, so I’d always blot off any excess if I was going to eat or drink. I’ve found that this one give me an inner confidence just because I know it’s so eye catching! A red lip is a statement, and there are so many ways of wearing it. It’s a case of being patient and trying a few types to see which suit you best! what’s your favourite lip colour? Have you used any of these before? Previous Perfect Pins: Summer prep starts now! Beautiful shades!!! I want to try the Nars one so bad!! if you ever have time, would you be able to check out my blog please?